Exercise your body and your mind on a healthy walk from the centre of Bridgnorth out into the surrounding countryside. The walk will help towards your daily exercise routine. At the same time think about how the landscape has come to look as it does, because of the rocks on which it is built, or those found in the surrounding area. This trail sets out to show three chapters of the same story: The formation of the Severn Valley between Bridgnorth and Highley. It starts in Bridgnorth where the Severn has, since the last Ice Age, cut deeply down through the sandstone rock. You then go downstream to Eardington. Here you can follow the sequence of river terrace formation from the oldest (and highest) down to the present day flood plain. Finally at Severn Valley Country Park at Alveley and Highley you see how the presence of harder rocks of the coal measures have resisted erosion more and caused narrowing of the valley. On the way you will see how the rock has been exploited over the centuries with sand and gravel extraction at Eardington and stone quarrying and coal mining at Highley and Alveley. Exercise your body and your mind on a healthy walk around old Alveley village and the restored landscape of 20th century coal mining. The walk will help towards your daily exercise routine. At the same time think about how the landscape has come to look as it does, because of the rocks on which it is built, or those found in the surrounding area. The most noticeable scenic feature of the area today is the valley of the River Severn, cut into a broad valley immediately west of the village. But rather than descending gradually, the slope clearly has a broad central step in it. 25,000 years ago this step was the flood plain of a young River Severn. Only 70 years ago this terrace provided a level platform from which to exploit a much older geological feature, but one totally hidden from view: the coal seams of the Highley and Alveley Collieries. From 1936 to 1969 the colliery waste from the workings east of the river was piled up on the terrace such as to completely remodel the valley side. In the 1980s, the considerable amount of remaining spoil that had not been removed for use as aggregate elsewhere, was landscaped into the smoothly rounded contours that we see today. The Wyre Forest and surrounding areas are underlain by rocks belonging to an age that geologists call the Carboniferous. During this time at about 320 million years ago, Britain was part of a continent in the tropics of the southern hemisphere. The landscape was one of rivers and streams with extensive flood plains, swamps, deltas and shallow lakes. When the rivers were in flood much silt and mud were deposited and in the river channels considerable volumes of sand accumulated. These formed some of the rocks that you will see on this trail. The Arboretum and surrounding areas are underlain by rocks of various ages. In the Arboretum grounds the underlying rocks are Silurian, Devonian and Carboniferous in age and you will encounter some of these rocks on this trail. Features of geological interest – a hundred million years walk. Prepared for the Cleobury Mortimer Footpath Association. 22pp. This trail runs from Kidderminster to Bridgnorth. Steaming through geological time on the Severn Valley Railway, in the comfort of a railway carriage, you will encounter landscapes created in hot, dry deserts, steamy tropical swamps and exceedingly cold Ice Age conditions. You will see how the underlying rocks and the erosive effects of the river have influenced the landscape. A round trip, with stopping times at Kidderminster and Bridgnorth takes approximately three hours to complete. A one-way journey takes one and quarter hours. The route of the railway is underlain by rocks of various ages. 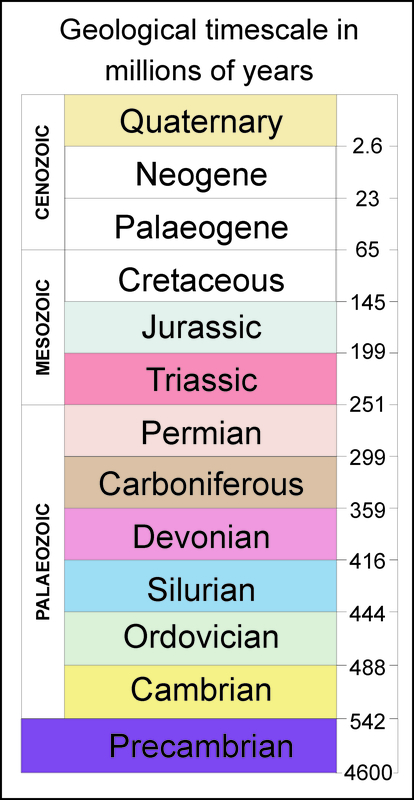 Kidderminster lies on Triassic rocks, Bewdley and Bridgnorth on Permian, and Arley, Highley and Hampton Loade on Carboniferous rocks. On your train journey look out for rock exposures by the track-side. All the rocks that you will see are sandstones and belong to a group known as sedimentary rocks. This walking trail shows how the location of Bewdley has been influenced by the underlying rocks and the River Severn. You will see that a major break in the Earth’s crust runs right through the centre of the town and you will learn about the evolution of the river since the Ice Age. The trail takes you to buildings where stones of various types and origins have been used in construction; stones that were once molten rock or were formed in tropical seas millions of years ago. This trail takes approximately one hour to complete. 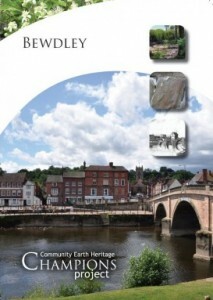 A 16 page booklet following a trail of the geological features around Bewdley Town Centre, including both rock exposures and building stones. The booklet includes an overview of the ecological and archaeological interests of the five Champions sites visited en route. Within the confines of Bewdley Museum there are many rocks for you to see. They are of different geological ages. The Wyre Forest is bustling with wildife and varied flora. These habitats are strongly influenced both by the underlying rocks and by the landscape form within the Forest. Find out more along with this trail leaflet. The man-made landscape relies heavily on aggregates – the sand, gravel and crushed rock that goes into building foundations, concrete and the roads we drive on. Nowhere is this better seen than in the regeneration of Stourport around the canal basins, and in the rapid expansion to the south of the town. Here at Stourport, the town’s most obvious natural feature, the River Severn, in its broad, deep valley was completely absent 100,000 years ago. The river has been deepening its valley ever since, but with a much-reduced volume of water. As a result the initial spreads of glacial debris: a coarse mix of sand, gravel, pebbles and small boulders, have been left as conspicuous terraces at higher levels. Today’s flood plain contains much finer silt and sand. These differences are clearly seen at various points on the walk. Within the confines of the Museum there are many rocks for you to see. 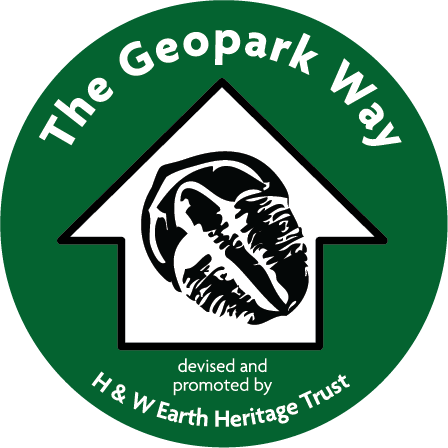 They are of different geological ages. . Find out more along with this trail leaflet. Free leaflet – available at Worcestershire County Museum, Hartlebury Castle. To download a trail leaflet click here.